Black Mambazo (“Axe”) was also known as the Alexandra Shamba Band, and was composed of band members Aaron (Jack) Lerole, Elias (Shamba) Lerole, David Ramosa and Peter Khumalo. The band ruled the Alex music scene for a while, and introduced the style of mixing Tsotsitaal spoken introductions to their songs – something that can be heard at the beginning of the classic kwela track: Tom Hark. 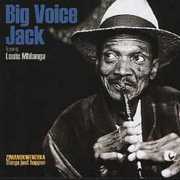 The Voice of America web site is running a very interesting African Music blog – well worth checking out. Matthew LaVoie has written a fascinating post entitled Musical Sunshine from Malawi which outlines how the Kachamba brothers, Daniel and Donald, discovered kwela to the city that is now Harare, but was then called Salisbury, and bought it back to Malawi (the Nyasaland) in 1961. The post goes on to explain the role that Austrian ethnomusicologist Gerhard Kubik played in promoting the brother’s music abroad under the moniker of Donald Kachamba’s Kwela Heritage Jazz Band, in which he played clarinet. 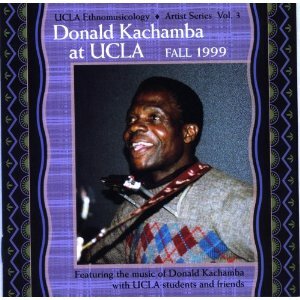 Best of all, this blog is full of example recordings by the featured artists, and the Kachamba Brothers are no exception. There are two kwelas to listen to: ‘Malawi Moto’ and ‘Malawi Cha-cha-cha’. I like the frantic tempo and vocals (which seem rare in kwela – the musicians usually preferring to play whistle) – I hope you enjoy these recordings too!